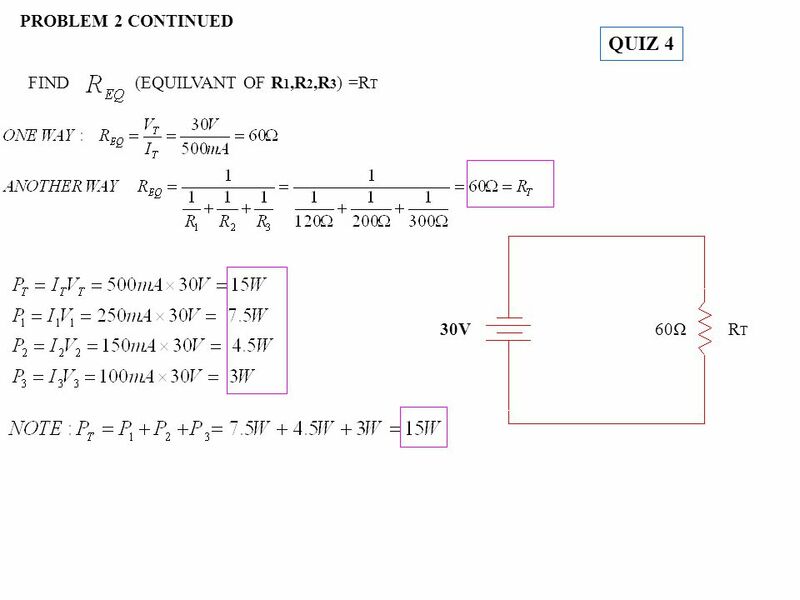 QUIZ 4 PROBLEM 1 30V R 1, V 1 =6V R3R3 R2R2 1.5KΩ 2.7KΩ FIND I T, R T, V 3, V 2, R 3, P T, P 1, P 2, P 3 :SINCE IN A SERIES CIRCUIT. 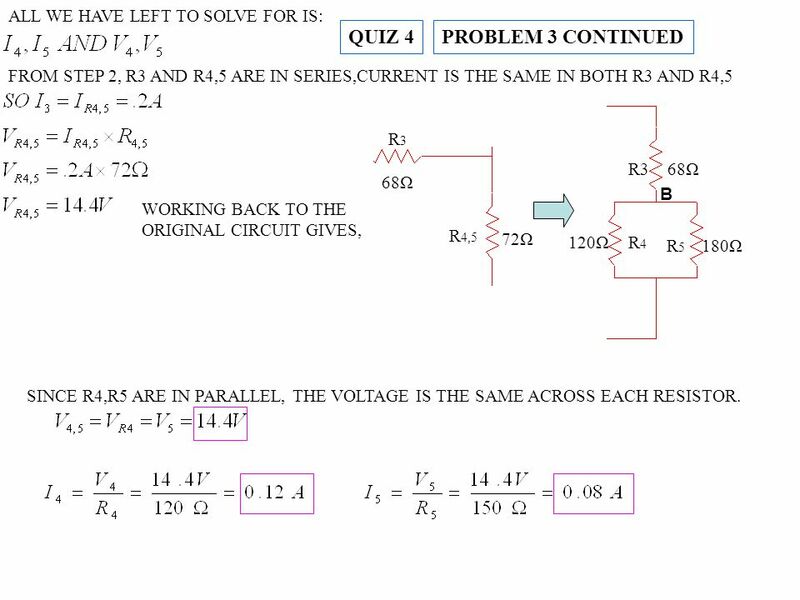 Download ppt "QUIZ 4 PROBLEM 1 30V R 1, V 1 =6V R3R3 R2R2 1.5KΩ 2.7KΩ FIND I T, R T, V 3, V 2, R 3, P T, P 1, P 2, P 3 :SINCE IN A SERIES CIRCUIT." 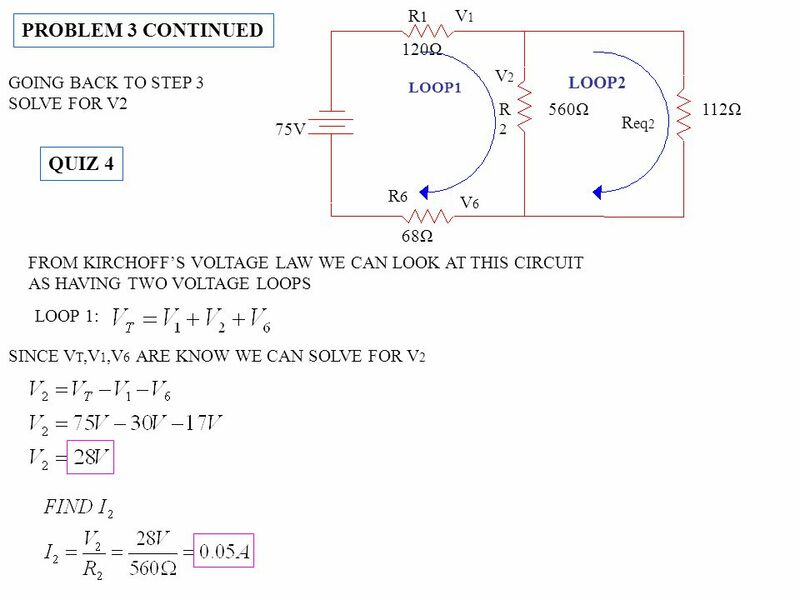 A route for the flow of electricity that has elements of both parallel and series circuits, and also multiple batteries that mess with our heads! 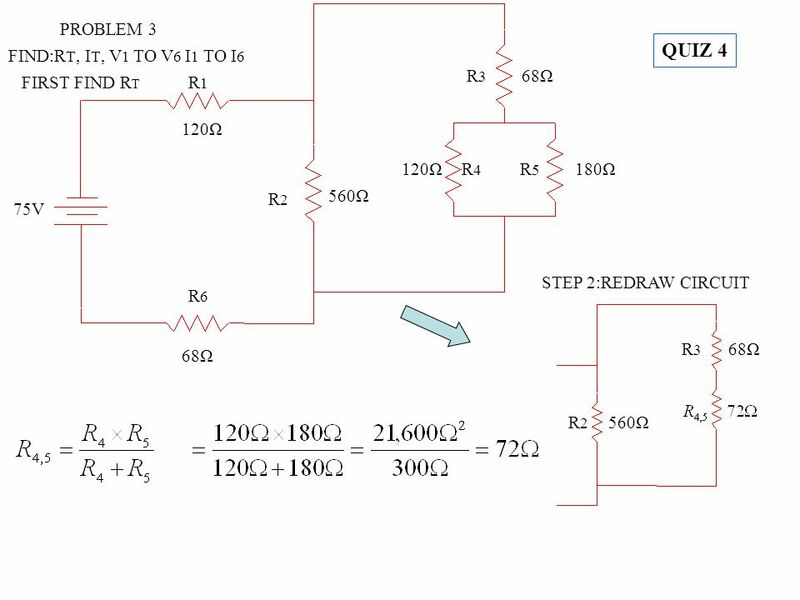 Objective of Lecture Provide step-by-step instructions for nodal analysis, which is a method to calculate node voltages and currents that flow through. Physics Mrs. Coyle. 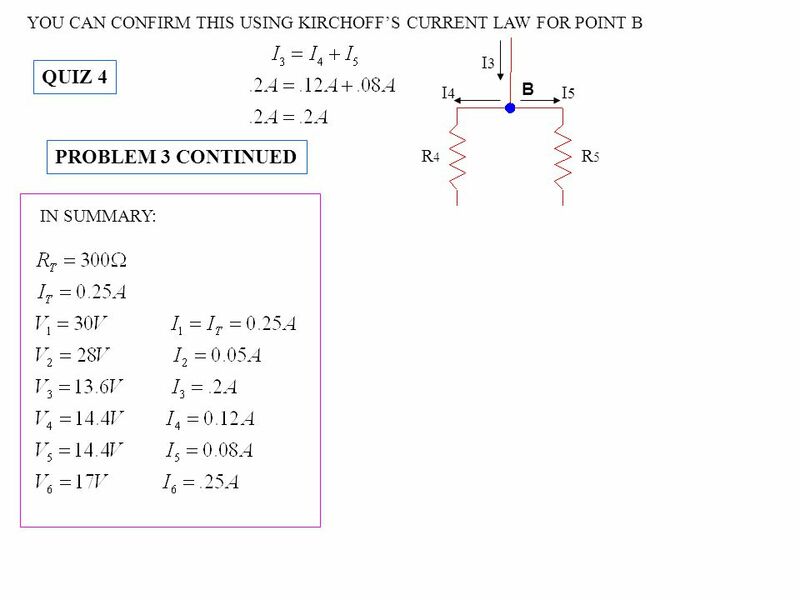  Kirchhoff’s Rules  Series Circuits  Equivalent Resistance  Voltage Drop Across Resistors  Brightness of Bulbs in a Series Circuit. 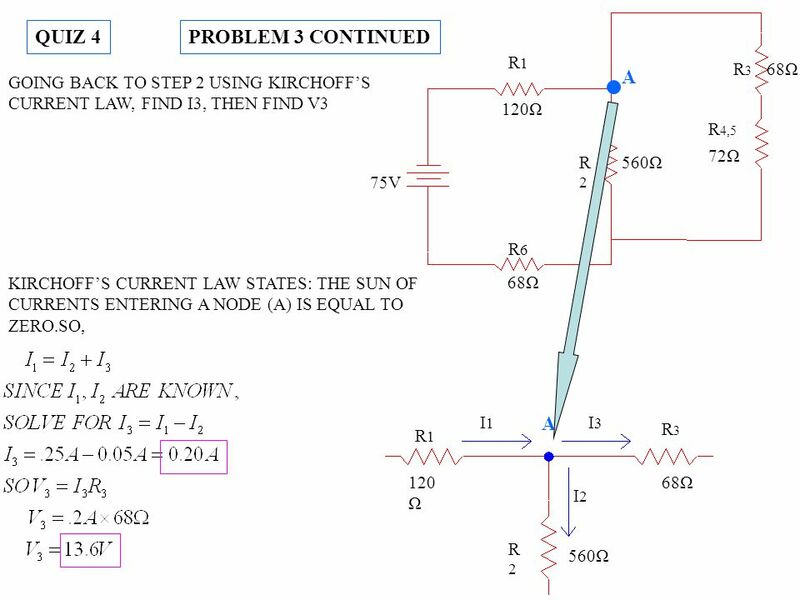 ENGR 111 Lecture 4 Reading: Chapters 19, Class notes. ECE 201 Circuit Theory I1 Resistors in Parallel Resistors connected at a single node pair Voltage across each resistor is the same. 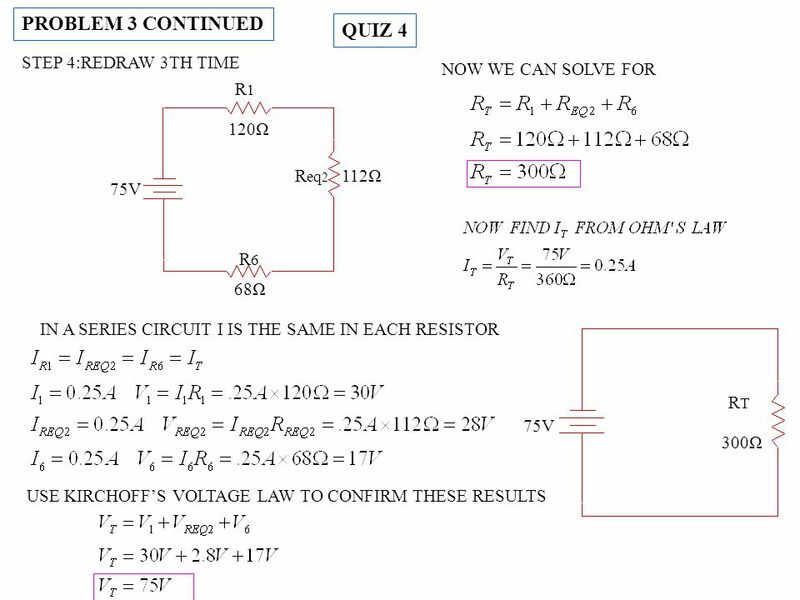 EET Survey of Electronics Chapter 14 - Series-parallel circuits. 7/2/20151 T-Norah Ali Al-moneef king saud university. 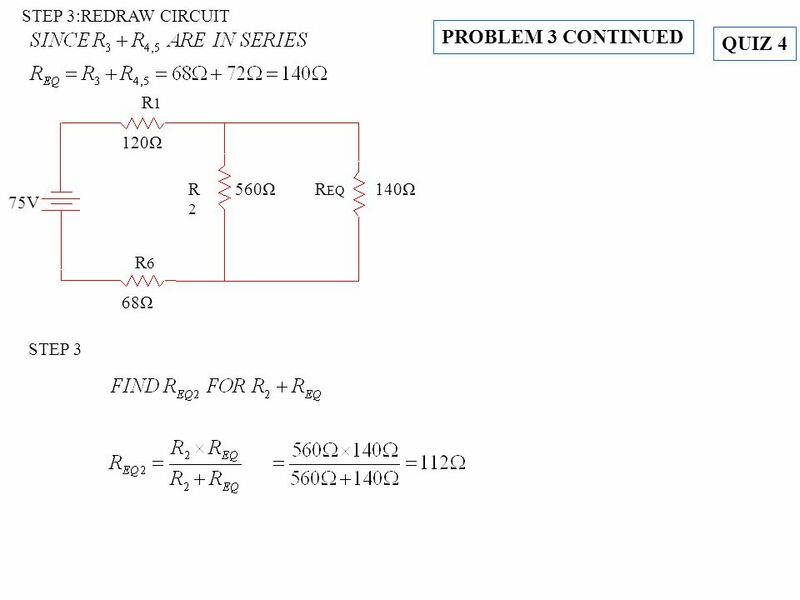 Circuits Series and Parallel. 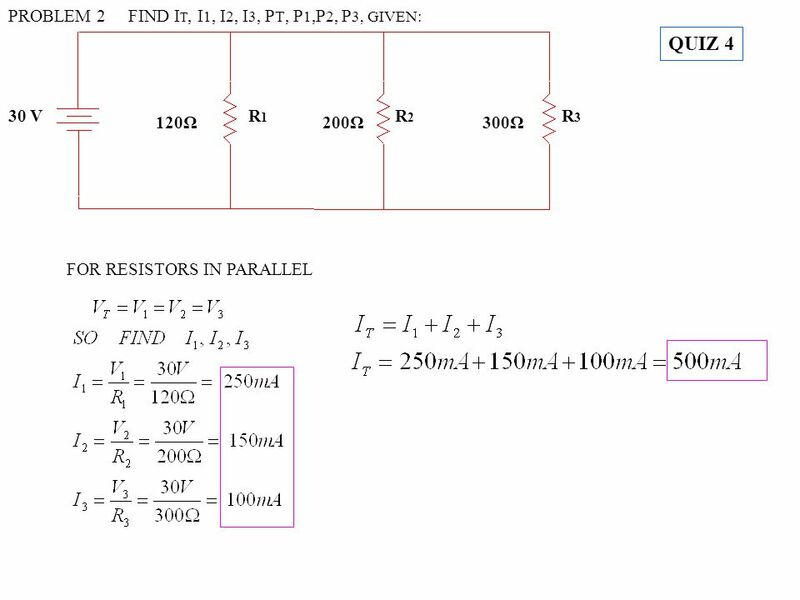 Series Circuits Example: A 6.00 Ω resistor and a 3.00 Ω resistor are connected in series with a 12.0 V battery. Determine. 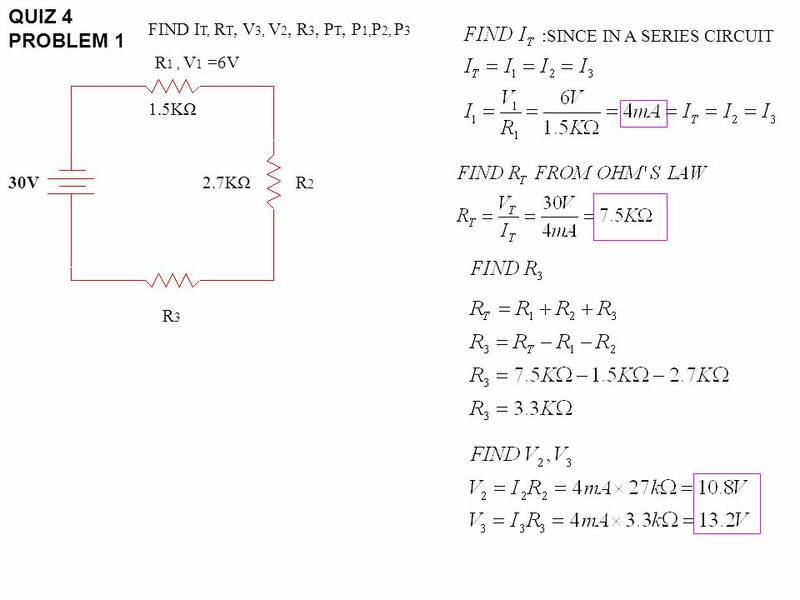 If current is disrupted through one element (e.g. the light goes out) If current is disrupted through one element (e.g. the light goes out) then they. 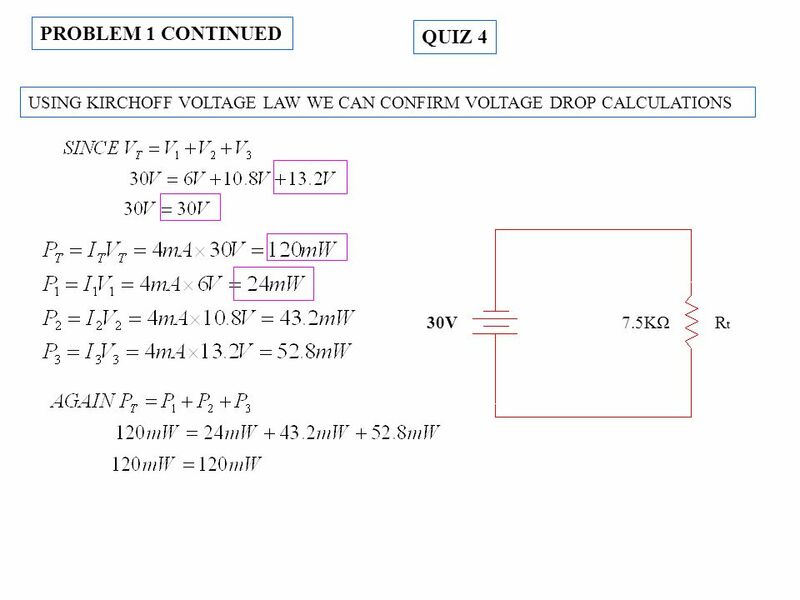 Objective of Lecture Provide step-by-step instructions for mesh analysis, which is a method to calculate voltage drops and mesh currents that flow around.